FBI agents say they have postponed indictments and undercover operations, and canceled the training of state and local law enforcement agencies. They’ve put off meetings with informants and delayed interviews with child sexual-assault victims. They’ve suspended payments for investigative collaborations with local police. That’s all because of the partial federal government shutdown, according to a report released Tuesday by the FBI Agents Association, a group that represents current and retired agents. Then there are the personal costs to agents who are not getting paid. At the FBI’s Philadelphia field office — one of the largest, covering eastern Pennsylvania and South Jersey — agents are bringing in nonperishable food for struggling colleagues, just as fellow agents are doing in New York and Newark, N.J.
J.J. Klaver, a now-retired agent who worked in the Philadelphia office until 2015, said he has heard from several former colleagues forced to go without pay since the beginning of the shutdown, the longest in U.S. history. Over the last few months, the FBI has had to fend off accusations of political bias from President Donald Trump and watch as the public’s faith in it has eroded, especially among Republicans. The association urged the White House and congressional leaders to end the shutdown, which on Tuesday entered its 32nd day. The Department of Justice is one of the federal agencies for which Congress has not authorized funding because of a stalemate over the wall the president wants to build on the U.S.-Mexico border. The FBI is paying for its operations with “increasingly limited resources,” which is not sustainable, the association wrote. About 800,000 federal employees are either working without pay, like the majority of the FBI’s 13,000 agents, or are furloughed without pay. FBI agents who miss paychecks are at risk for losing security clearances if they go into debt, and if the shutdown continues, agents may choose to leave the bureau for more stable employment, the association said. 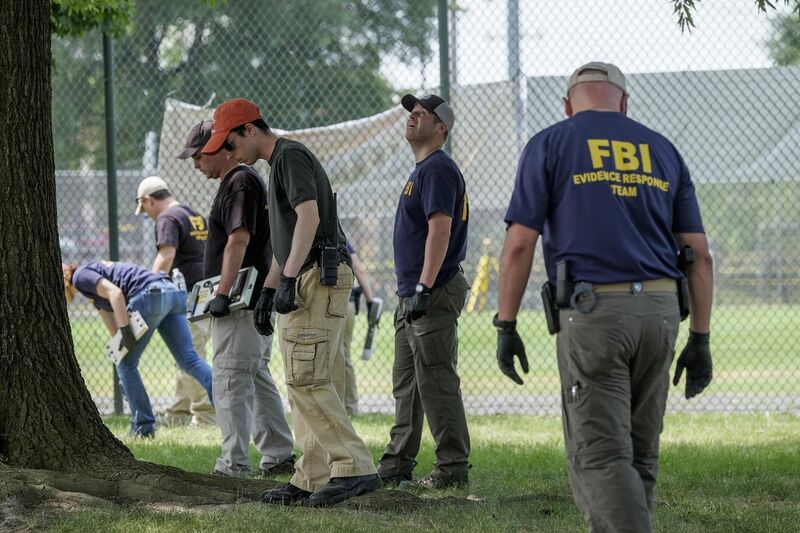 Veteran FBI agents in some parts of the country have annual salaries above $100,000. But agents are discouraged from picking up side jobs and must get approval to do so, for fear that such employment could pose a conflict of interest in future investigations. Klaver, the former agent who now works as a security consultant, said he has heard talk of struggles to pay bills and of gift card drives organized by former agents to support those working in the Philadelphia office. Jerri Williams, a retired agent and acting chair of the Philadelphia chapter of the Society of Former Agents of the FBI, a fraternal organization for bureau retirees, said even accepting financial assistance during the shutdown can be more difficult for agents. Bureau regulations require agents to report gifts they receive and, in some cases, cap amounts they are able to accept. So far, Klaver said, he hasn’t heard any complaints about the shutdown affecting agents’ work.